A great place to not only watch the sun set but rise as well, Sunset Harbour is nothing short of a sublime place to live. Landscaped like a Hawaiian island, you won't feel like you're in South Carolina anymore. 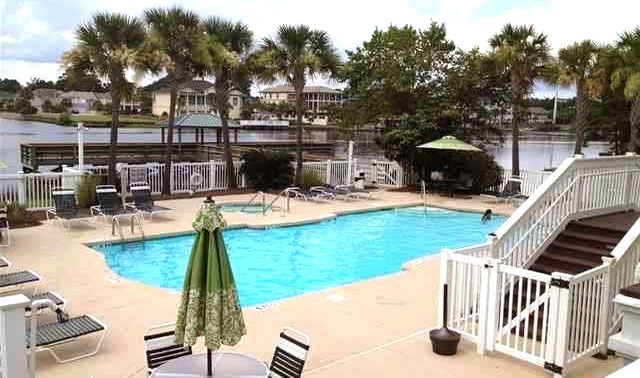 Located on the Intracoastal Waterway in the highly desirable Cherry Grove section of North Myrtle Beach, you know this community is set apart the moment you drive past the magnificent fountains at the entrance and into this slice of coastal heaven. Amenities include a pool, a fantastic clubhouse, gazebo, waterway access, private boat ramps and storage for boats with trailers. 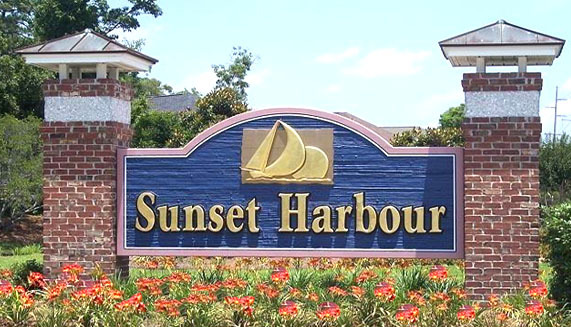 Sunset Harbour is within easy walking distance of several great restaurants like Outback and Applebees. Jump in a golf cart or the car, and you're only a few blocks away from the Atlantic Ocean. The golf, dining, entertainment, and shopping options that the Grand Strand has to offer are also right down the road. For boaters, the Intracoastal Waterway and access to the ocean will either be at your back door or steps away. Homes are custom built and run from around $400,000 to over a million for lots with direct Waterway locations. Some vacant lots are still available to build for around $100,000, and the neighborhood doesn't get any better than this. 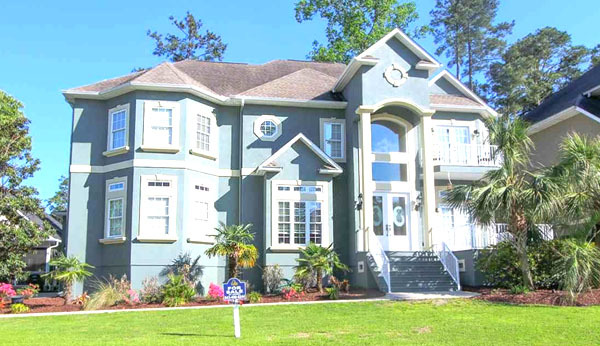 To see the homes in Sunset Harbour or any of the many other great North Myrtle Beach properties for sale, give the real estate professionals at Barefoot Realty a call today.